Winner of the Royal Society Winton Prize for Science Books 2012, the world's leading prize for popular science writing. We live in the information age. But every era of history has had its own information revolution: the invention of writing, the composition of dictionaries, the creation of the charts that made navigation possible, the discovery of the electronic signal, the cracking of the genetic code. 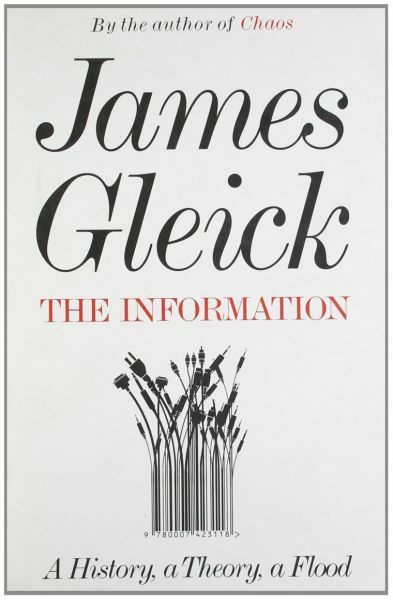 In The Information James Gleick tells the story of how human beings use, transmit and keep what they know. From African talking drums to Wikipedia, from Morse code to the bit, it is a fascinating account of the modern ages defining idea and a brilliant exploration of how information has revolutionised our lives.